A donut shop has a production function given by q = 50K1/3L1/2, where q is the number of donuts produced per hour, K is the number of donut fryers (which is fixed at eight in the short run), and L is the number of employed workers. How many donuts can be produced per hour with four workers in the short run? The short-run production function for a firm is given by q = 40L2/3. What is the average product of labor? Brenda's Pastry employs three workers who produce 6 dozen pastries per hour. After Brenda hires a fourth worker, production increases to 7 dozen pastries per hour. Which of the following statements is TRUE? a. Because the marginal product of the fourth worker is greater than the average product of three workers, the average product must fall. b. Because the marginal product of the fourth worker is less than the average product of three workers, the average product must rise. 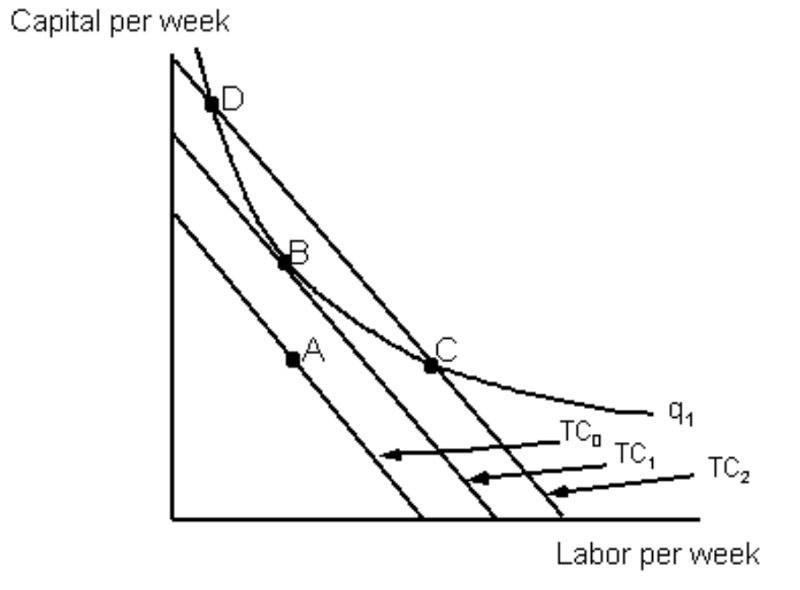 c. Because the marginal product of the fourth worker is greater than the average product of three workers, the average product must rise. a. physicians and nurse practitioners are perfect substitutes in production. b. physicians and nurse practitioners are perfect complements in production. c. diminishing returns will occur as the health center hires more nurse practitioners. d. the marginal product of physicians will increase by two with every nurse practitioner hired. True or False? 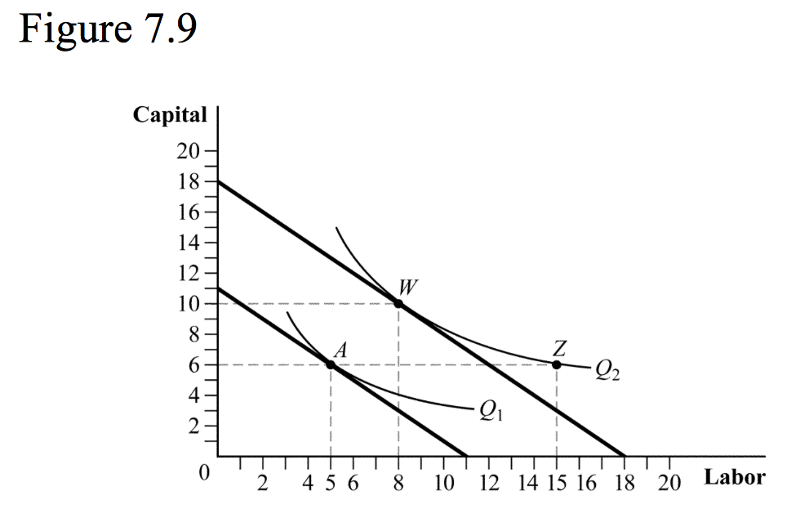 Diminishing MRTS (of L for K) implies that the MRTS is higher when the capital-labor ratio is higher. The production function given by q = 10K2 + L2 has ______ returns to scale. For every one machine Firm Alpha employs, it must employ 2 (and only 2) workers. There is no possibility for substitutions among inputs. Which of the following statements is/are correct? (Table 7.2) Carl's Detailing is a small business that travels to people's homes to meticulously clean their high-end sports cars. Carl hires detailers (labor) at a wage of $80 per day per worker. A van that is used to carry cleaning supplies to client homes has a fixed cost of $20 per day. The table shows the relationship between the number of cars cleaned and the number of detailers. The marginal cost of cleaning the first car is ______, and the marginal cost of cleaning the third car is ______. Which of the preceding represents the cost curves of the firm? A firm is producing 50 units of output at a total cost of $1,000, with a per-unit variable cost of $8. What is the firm's average fixed cost? (Table 7.1) Which of the following is correct at 4 units of output? Suppose a firm's total cost is given by TC = 100 + 4Q + 2Q2. Which of the following statements is TRUE? Suppose a firm's total costs are given by TC = 150 + 0.50Q +1.5Q2. What is the firm's average variable cost of producing 10 units of output? 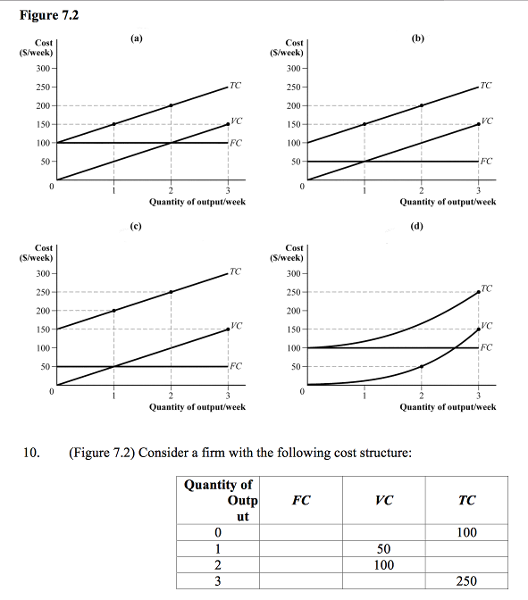 (Figure 7.8) The average fixed cost at 70 units of output is ______, and the firm's fixed cost of production is ______. A firm can produce widgets as follows: q = 6√K*L. In the short run, capital is fixed at 4 units, the wage rate is $10 and the rental rate on capital is $10. In the short run, to produce 60 units of output, the firm will use ___ workers and total costs will be ___. When average cost is falling, marginal cost is ____________ and when average cost is rising, marginal cost is _________________. Which of the following explains why short run marginal costs will always eventually rise? 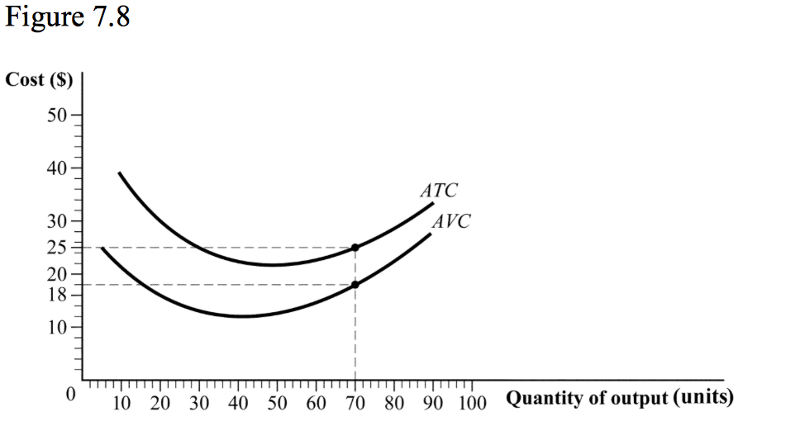 Generally speaking, the short-run average cost curve is __________________ with short-run marginal cost _____________. An increase in the wage rate will shift the firm’s cost curves ______________, the extent of the shift being larger the ____________ important labor is in the firm’s production and the ____________ substitutable capital is for labor. The figure below represents a firm wishing to produce q1 units of output. Which of the following statements is/are correct? a. not be able to because capital is fixed. b. move to point W in the short run and point Z in the long run. c. move to a point between W and Z in the short run. d. move to point Z in the short run and point W in the long run. In the long run, a firm is producing some output level q1 using a combination of capital and labor for which the MRTS (of L for K) at this input combination is 1. Suppose further that the wage rate is $10 and the rental rate on capital is $20. Which of the following statements is correct?